MovingGiants.org | Blog - Could Elephant Trunks Hold The Key To Robotics? 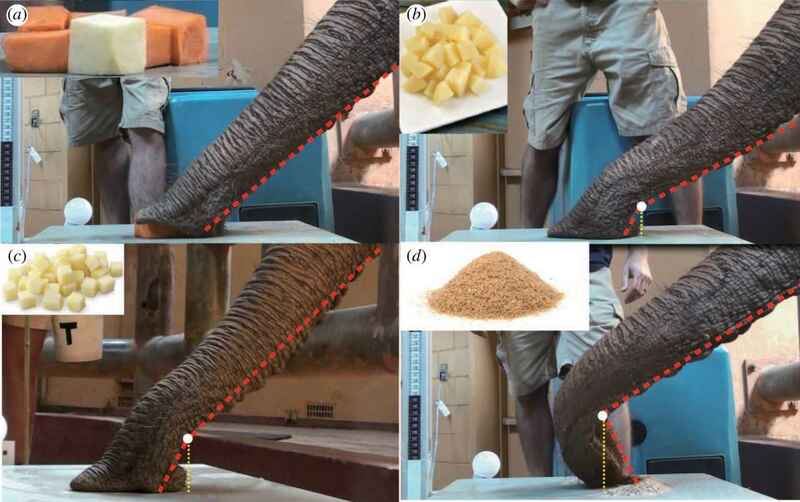 Could Elephant Trunks Hold The Key To Robotics? Elephant trunks are infinitely fascinating. They can lift up to 770 pounds. They can be used as an elephant's personal snorkel. They contain 40,000 muscles. And now, according to a new study in the Journal of the Royal Society, they may hold the key to solving a longstanding problem in robotics: developing a robot gripper. The goal of the study was to better understand elephant dexterity. How do they manipulate two things at once? How can they just as comfortably lift something that's one pound versus lifting something that's 400? How do elephants pick up granular materials, such as dirt or sand, that even humans would have difficulty picking up effectively? 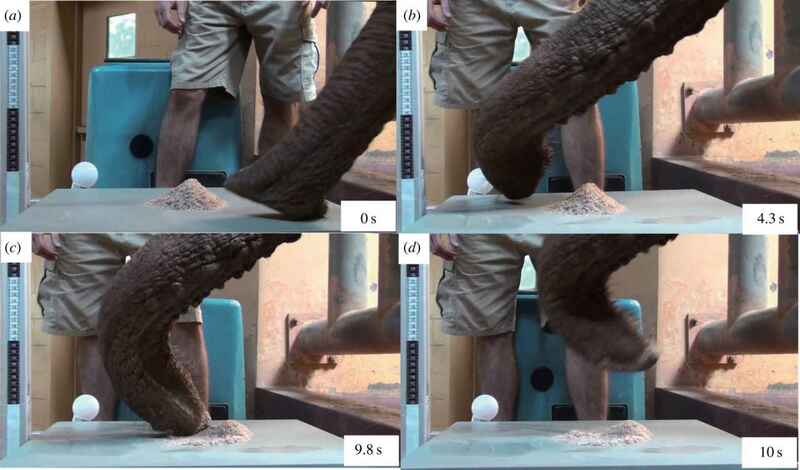 "In this study, we investigate how elephants pick up piles of objects. The challenge in performing this task is that compressive forces must be applied to the objects so that they do not slip away. Using mathematical models, we showed that the greater the number of objects, the more compressive force must be applied. We test this idea in our experiments by providing elephants with food items varying from four to 40 000 in number. Elephants accordingly can vary the forces they apply by a factor of four, from 7 to 47 N. Using synchronized force platforms and video cameras, we show that the application of this force is accompanied by the formation of a kink or joint in the elephant trunk. The distal end of the trunk forms a pillar which provides up to 28% of the applied force. Forming joints may help reduce the energy required to reach for and grab food items, a task they perform for 18 h every day. The joint formation may also have application in elephant-inspired robots."